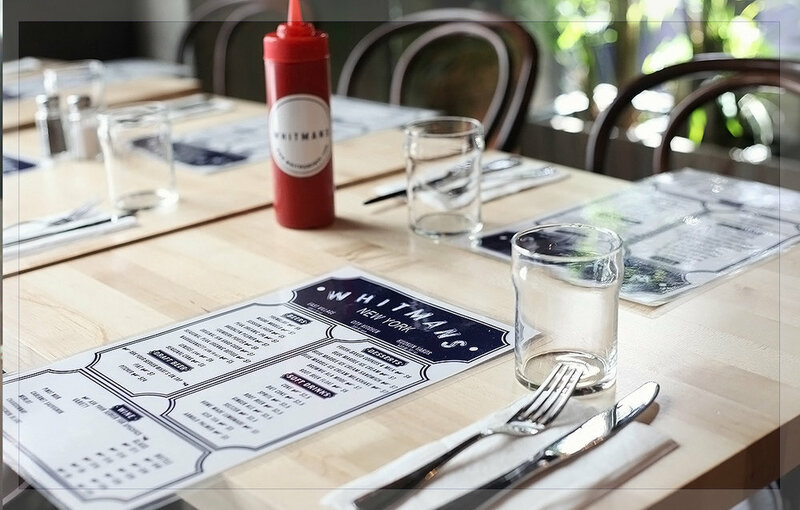 "Whitmans Restaurant serves burgers and seasonal fare with a focus on fresh, local ingredients. 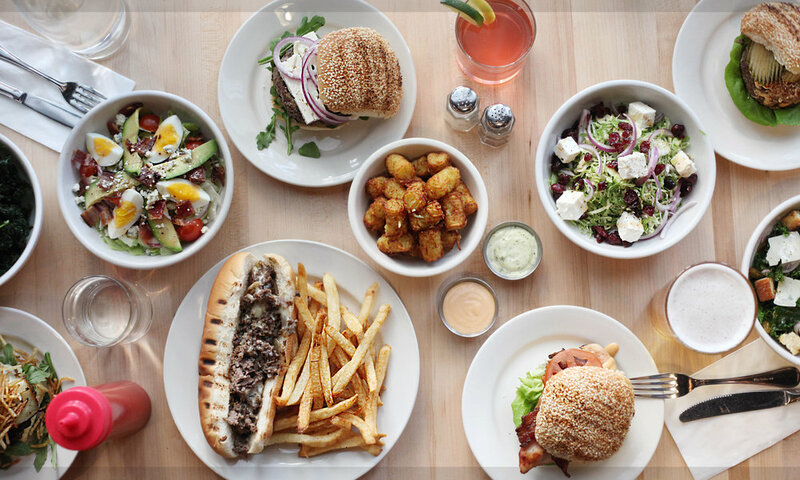 Opened by native New Yorkers, the concept was born by friends whose vision was to provide the neighborhood with delicious comfort food in a cozy, intimate setting." The main attraction, modeled after the Minneapolis-originated phenomenon, the “Juicy Lucy,” features two thin beef short rib blend patties pinched together encasing a scoop of pimento cheese, the result: a molten core of cheese oozing from the patty. Whitmans introduced their take on the cult burger in 2010 to rave reviews. In addition, Whitmans offers a vast array of specialty crafted burgers including The Hound, Spicy Patty, and The Mangold just to name a few. While we are known for our burgers, some of our other most popular items include our East Villi Cheesesteak, Veggie Burger, and Kale Salad. On holidays hours may vary.